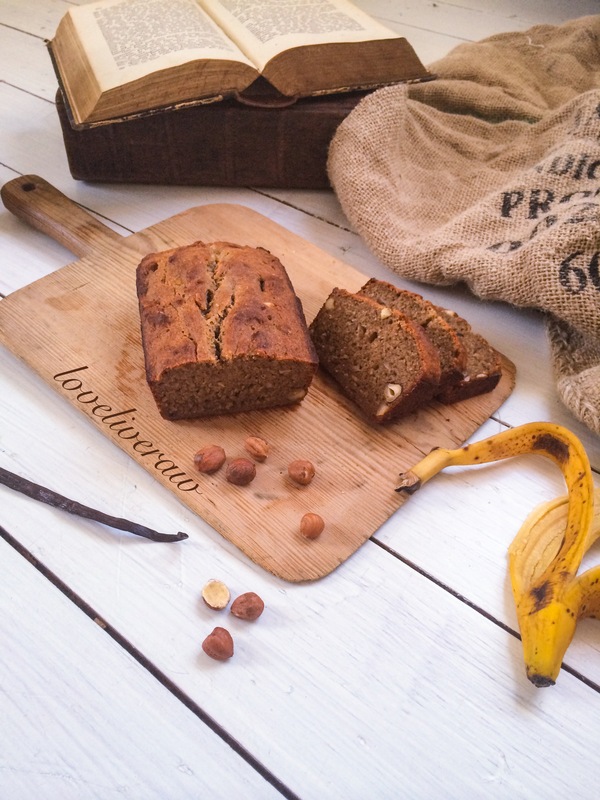 After my trip to Banana Island I had some leftover ripe bananas and didn’t really feel like eating them, but as I don’t like throwing things away I came up with this absolutely delicious Banana Bread. It’s vegan, gluten free, refined sugar free AND nut free if you cut out the hazels. The best thing is that you can alternate it in endless variation. Just use your imagination. Put your oven on 200 degrees C.
Grease the insides of a loaf pan with some coconut oil. Mash the bananas thoroughly using a fork, add the coconut oil. Mix the buckwheat flour with the baking powder and add it together with the hazelnuts. Mix well. Pour into the loaf pan and bake for about 45-55 minutes. Let cool before slicing up. Eat as it is or serve it with some coconut whip* and sliced fruit! I love raw crackers. Especially if they’re a bit spicy. Top these with some avocado, tomato, your favorite sprouts and some freshly ground black pepper. Simple and very tasty snack. 2. Pour the tomato/pepper sauce over the seeds, stir thoroughly and soak for 1 hour to let the mix thicken. 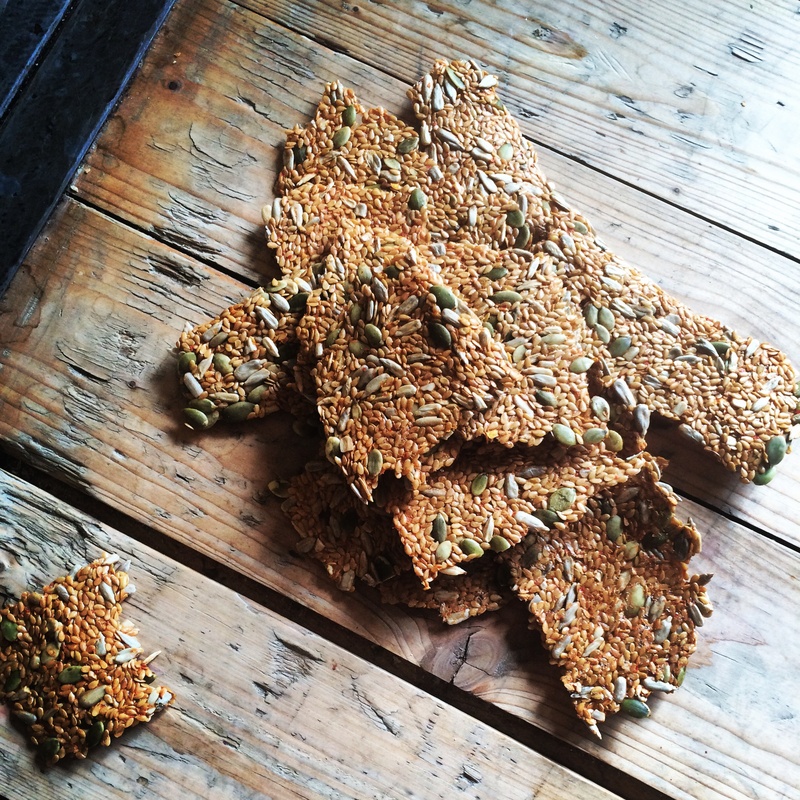 The flax ”creates” a gel which binds the crackers. 3. Spread out thinly on two baking sheers/dehydrator sheets and dehydrate over night (8-10 hours) If you use a regular oven, dehydrate them in lowest temperature allowed and leave the door slightly open to let out the steam.